Reconnaissance studies of several other producing and prospective coal basins in the United States, China, Botswana, South Africa and world-wide. 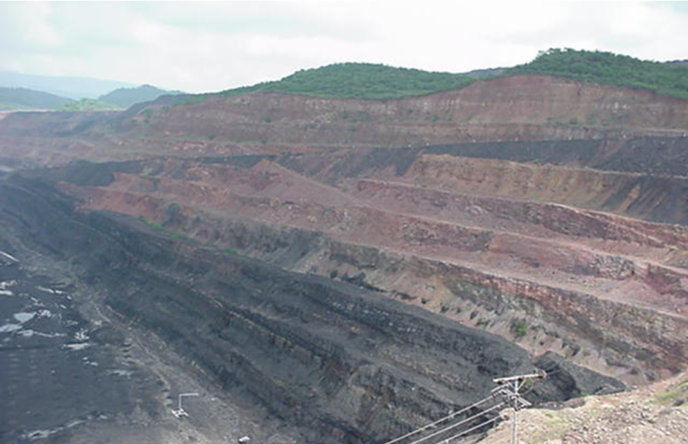 The best potential for the discovery of coalbed gas resources lies in conventional and hydrodynamic traps basinward of where outcrop and subsurface coals are in good reservoir and hydraulic communication and in areas of vertical flow potential and fracture enhanced permeability. Exploration and development for migrated conventionally trapped gases, in situ-generated secondary biogenic gases, and solution gases are required to achieve coalbed gas production in many coal basins. 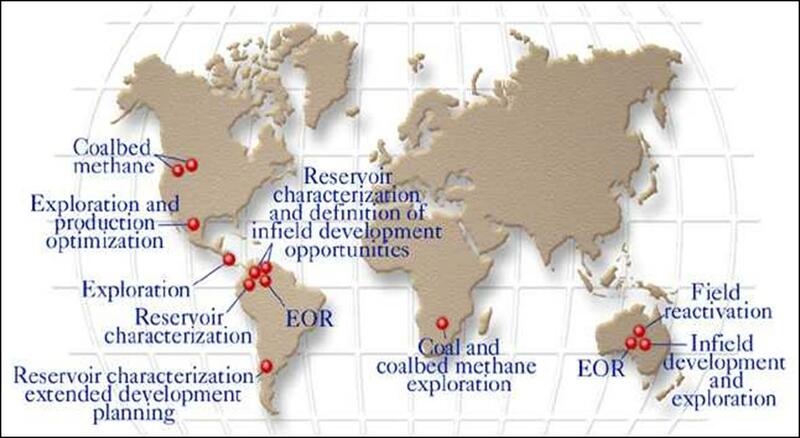 The ARC Group emphasizes a multidisciplinary team approach to meeting the current challenges of discovering, evaluating, and developing coalbed methane resources both in the United States and internationally. 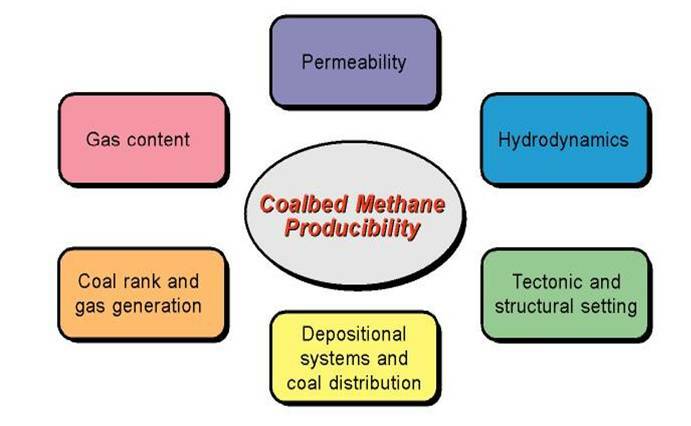 Our coalbed gas producibility model, that can be applied to evaluation of coalbed gas exploration and producibility in coal basins throughout the world, indicates that tectonic/structural setting, depositional systems and coal distribution, coal rank, gas content, permeability, and hydrodynamics are controls critical to coalbed gas producibility. 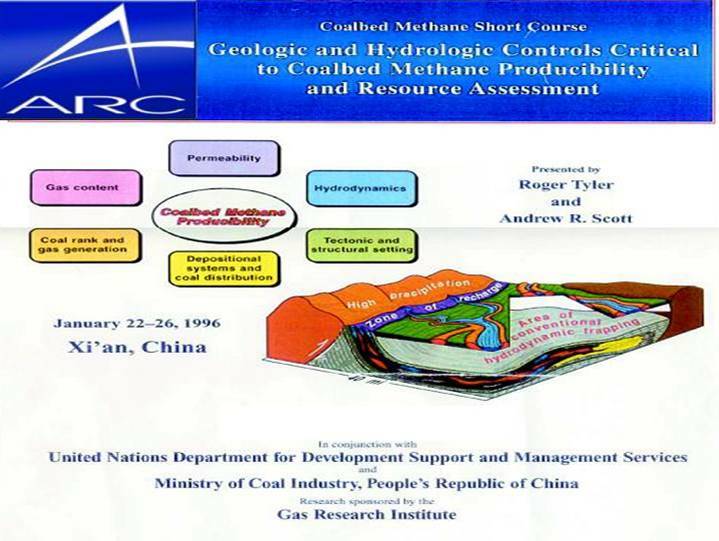 However, simply knowing a basin’s geologic and hydrologic characteristics will not lead to a conclusion about coalbed gas producibility because it is the interplay among geologic and hydrologic controls on production and their spatial relation that governs producibility. High producibility requires that the geologic and hydrologic controls be synergistically combined. That synergism is present in the prolific producing San Juan Basin. As predicted from our producibility model, significant coal gas production (wells greater than 1 MMcf/d) are found in the high productivity fairway of the San Juan Basin. This hydrogeological producibilty model provides a framework for exploration and development strategies in coal basins throughout the world. Accurately assessing coal and coal gas resources and delineating areas within basins containing the largest resources and exploration targets are important aspects of resource development. 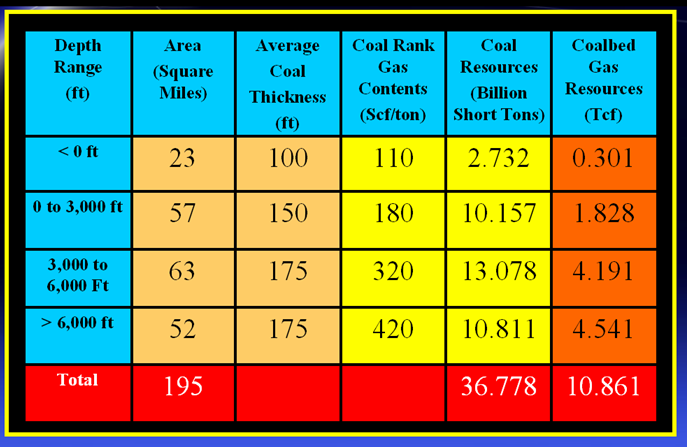 In basins where coal analysis data are sparse, coal gas resources are best calculated on an ash-free basis. The density contrast between ash-forming minerals and organic matter is large enough that the weight percent ash is much larger than the corresponding volume percent. Therefore, ARC Group uses a correction factor relating weight percent ash-free coal and ash yield (determined from proximate analysis) to ash-free coal volume for accurate coal gas resource calculations. Rather than using one density value these calculations require that bulk coal density (including mineral matter) be distinguished from ash-free coal density. Coal and coalbed methane resources are then calculated from digitized structure, topographic, and net-coal-thickness maps on a 3.5-sq. mi. grid, using plots of gas content versus depth, density, and coal volume.